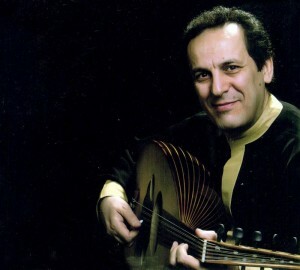 Arsalan Kamkar born in 1960 in Sanandaj, Iran) is an Iranian-Kurdish musician from Iran. He learned the preliminaries of music from his father, Master Hassan Kamkar, and since childhood he performed in several ensembles directed by his late father. Later he came to Tehran and studied music in School of Fine Arts. After the completion of his studies, he worked with Tehran Symphony Orchestra as violin player. In addition to violin which is his specialty instrument, he is a highly skilled Barbat (lute) and oud player and plays other string instruments as well. He is now the concertmaster and soloist of Tehran Symphony Orchestra at the same time he is a valued member of Kamkarha, a music ensemble composed of him Kamkar is also a prolific composer and has composed many musical pieces in Persian classical music, Kurdish music and Western classical music.